Welcome to our “Question of the Week” series of blog posts where we will address some of the most common issues sales teams deal with on a daily basis. We welcome your questions and comments, so don’t hesitate to reach out if you have anything to add. Meetings are a necessary part of any company’s business model. As a leader, you depend on feedback and information from various departments to inform the road ahead. You set time aside, you send out your meeting invites, but only a handful of those summoned turn up. To add to the frustration, the people that do show up are unprepared or preoccupied during the meeting, not connecting with important information and potentially leaving a lot of money on the table. Case in point – by some estimates, companies in the United States spend an inordinate amount of resources on ineffective meetings – more than $37 billion every year. The same study concluded that more than 67 percent of all meetings are unproductive. Meetings are critical to our business growth and company culture. However, the National Statistics Council reports that employees spend approximately 37 percent of their time in them. Facing increasing pressure to perform in an ever-more competitive business climate, this can be a morale killer – especially if the results are less than energizing. These are concerning metrics indeed – especially if it’s your company. You can’t just stop having meetings, but what’s the solution? To help you out, we’ve put together our top tips on how to increase engagement and make your meetings more productive. One of the biggest complaints about meetings is that they disrupt employee workflow. Starting late or running overtime can kill any impetus there is to show up and be fully present. 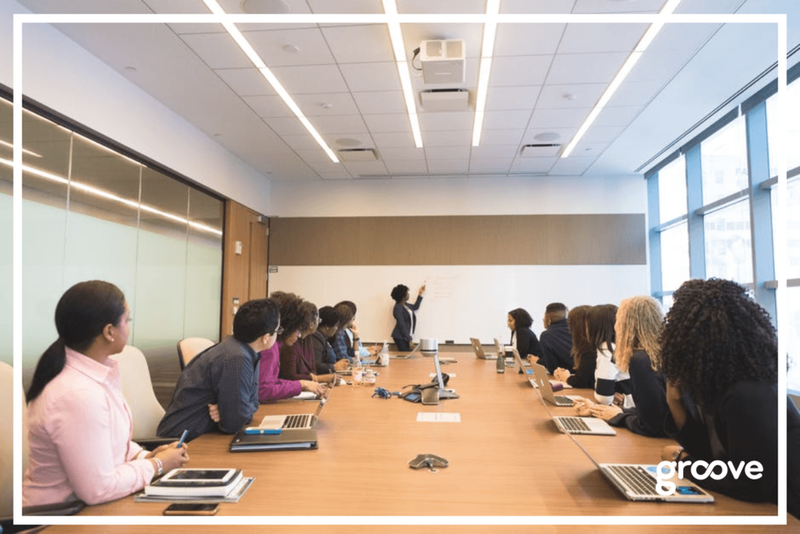 As much as you expect your teams to respect you by attending your meetings, you need to show them the same courtesy by sticking to the agenda and not wasting their time on irrelevant topics. When sending out meeting invitations, include the meeting agenda, so invitees know what to expect. Once the meeting gets underway, stick to the agenda as closely as possible. To keep the process as simple as possible, try to limit the number of topics to be covered. If discussions go off on a tangent, acknowledge the importance of the issue but park it for another time. This keeps the meeting on track and will make it easier to follow. Request that each of your meeting attendees bring a topic or assign them to a task, such as being the meeting scribe. If each meeting-goer has a topic or issue to contribute to, they will be more likely to come prepared to do so. Assigning someone to take notes and prepare minutes is also helpful as it encourages them to pay attention. If the topics are moving quickly, it also ensures that attendees have an accurate record of what was discussed and that you can see where time is potentially being wasted – a useful exercise in making sure your next meeting is more productive than the last. Once you’ve mastered the art of more productive meetings, the next order of business is to make sure people continue to show up. Periodic reminders are helpful as your first announcement may be forgotten. Sending out a final reminder a couple of hours before the meeting will strengthen the obligation to attend. Linking your electronic invitations to a calendar is another way to ensure your meeting appears on an attendee’s schedule. In conclusion, these tips should set you on the right path to making your meetings legendary. If you’ve tried all our suggestions but still aren’t getting the results you need, let’s set up a meeting.